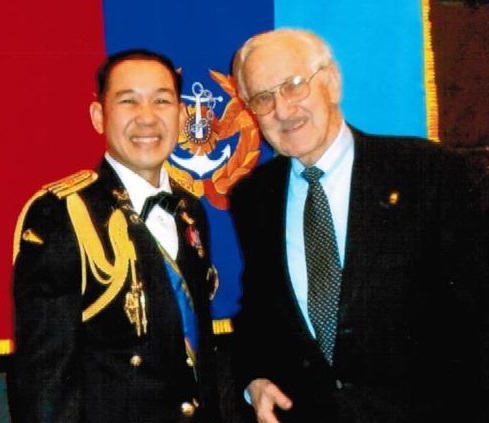 February 17, 2015 - Louis O. Schwartz, President of the American Sportscasters Association, was invited by Senior Colonel Orgrob Amarachgul to a reception to honor and celebrate Thailand’s Armed Forces Day on Thursday, February 12 at the Japan Society in New York City. Colonel Amarachgul is the Military Advisor of the Permanent Mission of Thailand to the United Nations. Armed Forces Day is celebrated in Thailand on January 25, and while not a national holiday, all Thais are reminded on this day of how much they owe to the country’s armed services: The Royal Thai Army, The Royal Thai Air Force and The Royal Thai Navy (incorporating the Royal Thai Marine Corps). The basic role of the country’s armed services is the defense of the realm; a burgeoning responsibility that encompasses national security of the country’s borders, internal security, a role currently under the international microscope as the forces attempt to restore peace to the largely Muslim populated regions of the South. In recent years, Thai Forces have been active in United Nations peacekeeping missions in East Timor, Afghanistan and Iraq. 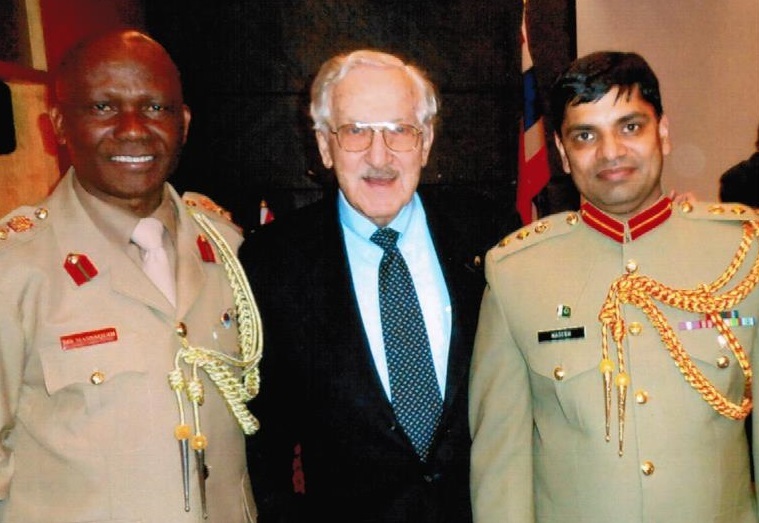 At the reception were numerous members of the Armed Forces representing many different nations including Muana Brima Massaquoi, UN Military Advisor of Sierra Leone and Col. Naseer Shahzad, UN Military Advisor of Paskistan (photo below). Schwartz has represented the ASA as an NGO Member of the United Nations for over 10 years.